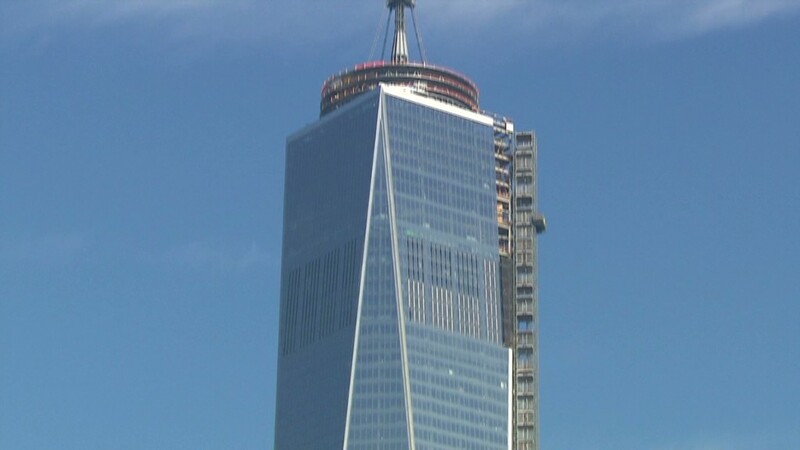 One World Trade Center, the tallest building in the Western Hemisphere, is open for business. The building opens Monday, when the first tenant, Conde Nast, moves in. The publisher moves its 3,400 staffers into the 24 stories it is occupying, from floor 20 through 44. One World Trade Center is opening 13 years after its predecessor was destroyed on September 11. There are several buildings at the site. But the centerpiece is the One World Trade Center, a skyscraper that is 104 stories and 1,776 feet tall, a height that represents the year of United States independence. This includes the 408 foot spire atop the 1,368 foot tower. It's taller than the original Twin Towers, which were 1,727 feet with the antenna, or 1,362 without. The building has 3.5 million square feet of space, including offices, parking and an observatory, scheduled to open next spring. Other tenants include the U.S. Army Corps of Engineers, U.S. Customs and Border Protection and the China Center, a liaison for U.S. and Chinese businesses. But many of the floors remain unoccupied. The owners of the tower recently slashed the rent from $75 to $69 per square foot. Located near Wall Street in lower Manhattan, the building was developed by the Port Authority of New York and New Jersey, which owns the 16-acre site. One World Trade Center cost $3.9 billion to build. The planning and construction were complicated by fighting among developers, realtors and insurers. The new building replaces the Twin Towers, which were destroyed on Sept. 11, 2001, when al Qaeda terrorists flew two hijacked passenger jets into the buildings, killing 2,753 people. This was part of a wider attack that also killed hundreds of people at the Pentagon and in Pennsylvania.